Card: Received from Mrs. A.M. (Daphne) Field on December 8, 1987 - photo of her father and little black bear cub taken out West in about 1915-16. She said that her father was with the 88th Battalion Machine Gun Corps of the C.M.G.C. His name was Francis Barber Starkey. He went overseas in 1916 rising from the ranks to a Captain. 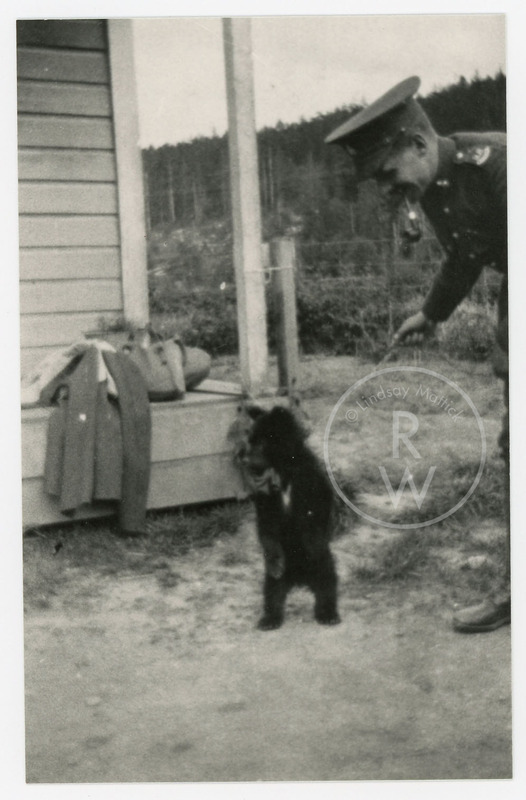 “Francis Barber Starkey with bear cub,” Remembering the Real Winnie: The World's Most Famous Bear Turns 100, accessed April 25, 2019, http://therealwinnie.ryerson.ca/collection/items/show/43.